Are You Out Of Balance? As a leader, you are constantly being pushed and pulled in different directions. You probably have many responsibilities and everyone wants to give you more because you are dependable. That falls in line with the age old saying, “If you really want to get something done, you will give it to someone that is really busy.” With all the responsibilities and/or requests, it can be very easy to become so busy that you get out of balance as a leader. Several years ago, I was studying to earn my undergraduate degree in mechanical engineering. I was very focused on two things at the time. I wanted to earn my engineering degree and I wanted to get as close to straight A’s as possible. I knew that this would take a lot of dedication to accomplish because it is not an easy task. With those two goals in mind, I went from semester to semester through the program. Each semester got progressively harder and the classes became more and more time consuming outside of class. I was very dedicated to the point that I didn’t go out with friends on the weekends on many occasions. I spent long weeks (70-80 hours) doing nothing but completing assignments, studying for my exams, and doing lab-work. In the process I neglected many of my friends and colleagues that would’ve helped me through the program. I got to the point that my life was out of balance. Once I realized that, I began to set aside specific times to do intramural activities, go out with friends, work out, and do other things that I enjoyed. I also started going on dates and was able to meet my wonderful wife. Had I not changed my life and introduced more balance, I would have continued down a road that would’ve lead to self-destruction from burnout. As a leader, balance in your life is extremely important. Balance will help you to keep your sanity and continually grow and cultivate the relationships you have with your loved ones and those in your networks. 1. More time ≠ more productivity. There is a common misconception that if you spend more time on something, you are therefore more productive. There have been multiple studies done that prove that more time does not equal more productivity. You can work very hard for a time, but it is inevitable that you will hit a point that your productivity will decrease. It is the margin of diminishing returns. 2. Too much time on the job leads to tunnel vision. When you are doing the same time for too much time, you begin to miss things that fresh eyes would catch. Have you ever experienced a coworker or other leader coming to check your work and he/she sees something obvious that you missed? The other person sees your work differently than you because they have a fresh perspective. When you are doing the same thing for too much time, you begin to miss what is right in front of you. There have also been many studies done that have proved this to be true as well. 3. When you are too focused or dedicated, you become one-sided. When you dedicate all your time to your work and/or a specific project it becomes your sole focus. It becomes all you can think about and you even begin to dream about it. There comes a point when it begins to take over your life. When this happens, it becomes really easy to become pigeon-holed in what you are doing. You become very valuable at what you are doing to the point that you get stuck where you are at. Balance is necessary if you are striving to maintain a healthy life. There are many areas that you must be balanced in your life so that you can take care of your entire well-being. 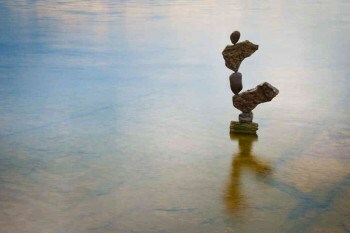 What do you do regularly to ensure that you maintain a balanced life? What have you done to help those around you understand the importance of a balanced life? Please share your thoughts in the comments section below!